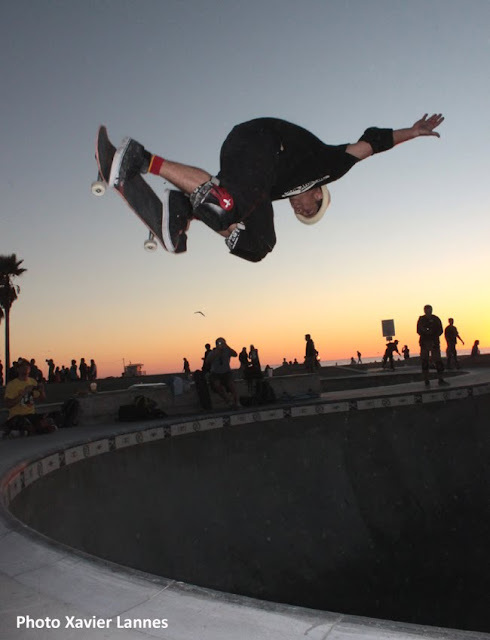 Looks like 2011 is not a bad year for Christian Hosoi. He still skates as hard as ever (see picture on the left), he actually is ranked 26th on the World Cup of Skateboarding's Masters World Bowl listand is usually hired to judge skateboarding contests. He also just released a new signature longboard with Stalk It, entered into a licensing arrangement with Switchboard, Inc., has been helping to promote Fresh Parks' "Park on a Cart" mobile skatepark products, continues to manage his church, The Sanctuary, and runs Hosoi Skates. isTia.Tv actually met with him last Saturday, while at the Venice Skatepark for the Venice Thanksgiving Throwdown contest where he was finishing a clip with Bennet Harada for the upcoming movie Hardflip in which he will get a piece of the action together with Bennet Harada, Brian Sumner and Luis Tolentino alongside John Schneider, Rosanna Arquette, Randy Wayne and Jason Dundas. Used to be in fron of the cameras, Christian Hosoi will be just playing himself in the movie. Brian Sumner will assume the role of Brian and Tolentino will play the part of Roberto. Brian Sumner is 32 years old and has been skating since he was 13 years old. 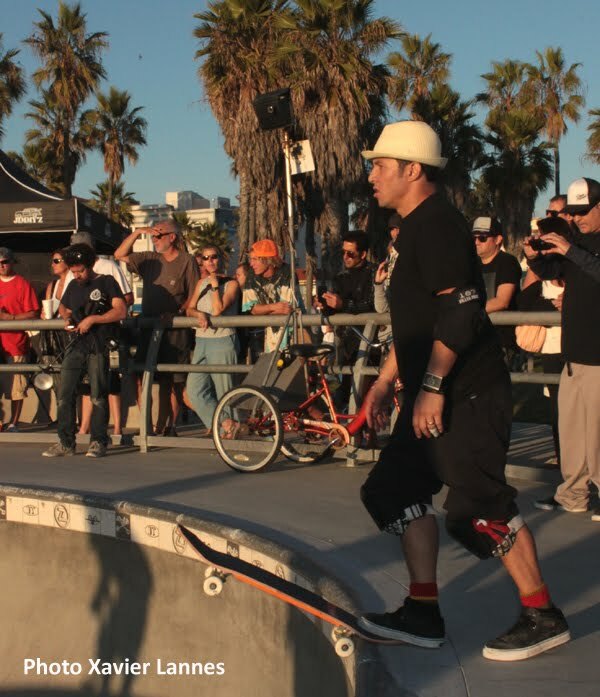 Like Hosoi, he is involved with The Sanctuary church. Luis Tolentino has also been skating for some time now and participated in the Empire Backyard Party earlier this year. He also regularly appears in TransWorld, Thrasher and The Skateboard Mag. Notwithstanding the quality of the movie; by looking at the trailer it seems Harflip will be full of skateboarding, spirituality and redemption, all of which fit like a glove to Hosoi. Of course, this is not a skateboarding movie. This is the plot of the movie: with no father in his life to guide him and his mother, Beth, working two jobs to make ends meet, Caleb believes nothing matters in life but skateboarding. When his mother falls ill, Caleb is forced to deal with her illness and his lack of responsibility. Now on his own, he sets out to find the father he never knew when he stumbles upon some old love letters. Out of hurt and anger, Caleb reluctantly contacts his father, Jack who happened to live the next town over from him his entire life. Caleb’s only real friend, a “crazy”, homeless, street preacher named Ralph, speaks nuggets of Truth through God’s Word, guiding Caleb along his journey. Through the tragedy of his mother’s illness and the sudden appearance of the father he never knew, Caleb becomes the man his mother always prayed he’d be. Hardflip is due to be released in February 2012. 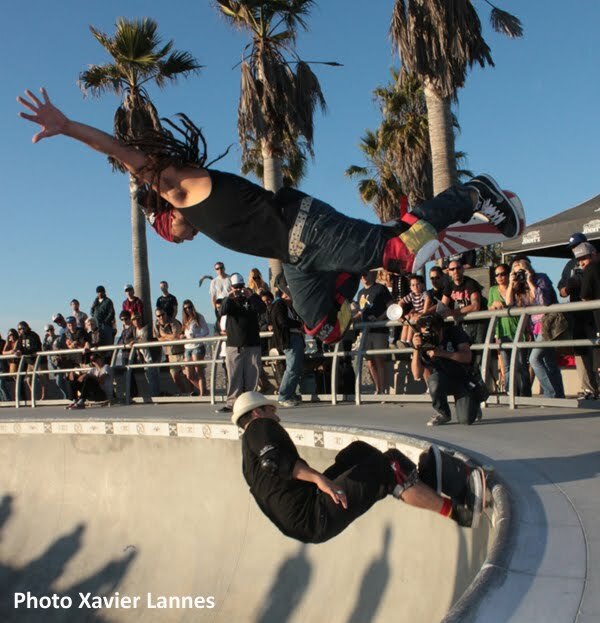 Christian Hosoi and Bennet Harada: Two in One - Venice Skatepark November 26th 2011.